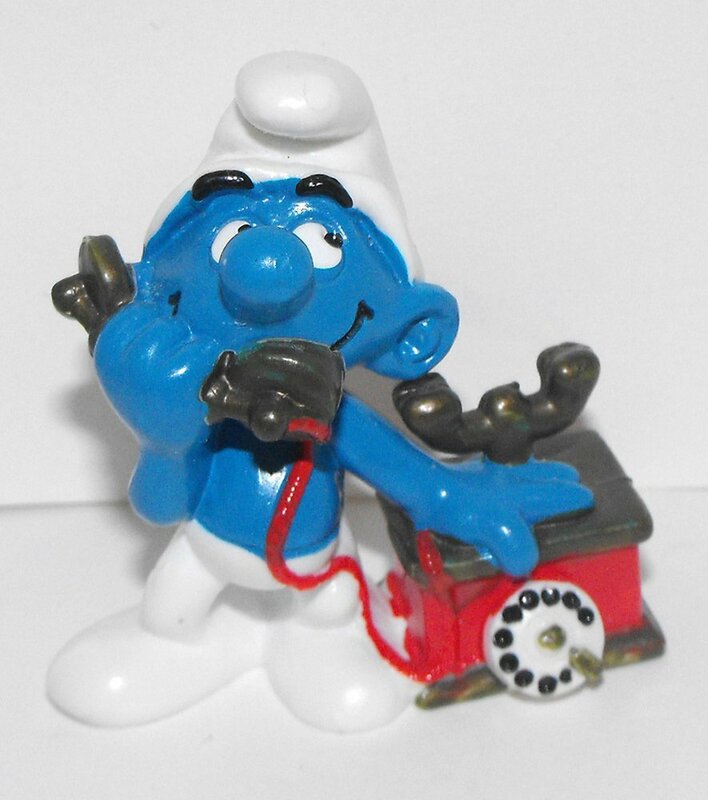 Telephone Smurf Vintage Plastic Figurine, 2 inches tall. Used, Very Good Condition. This figurine comes loose without any packaging or tag.